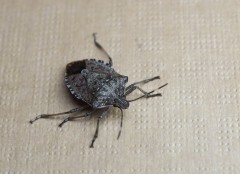 The Department of Agriculture has provided preliminary advice on this year’s Brown Marmorated Stink Bug (BMSB) season. New seasonal measures will apply for goods shipped on or between 1 September 2018 to 30 April 2019. In our previous update on BMSB, we gave detailed information on the Stink Bug, impacted imports and the extended risk season (for more details please see this article). Now we give you an update on the latest plans, goods considered as risk and high-risk goods as well as targeted risk countries. Below you find preliminary plans that have yet to be confirmed. They will form the bases of the import requirements for 2018/2019. As soon as seasonal measures have been finalised, we will publish information in the News & Updates section on our website. This will include applicable goods and countries, as well as specific treatment rates (chemicals, temperatures and duration). Export or destruction of target high-risk goods requiring mandatory offshore treatment and arriving untreated, unless exceptional circumstances are granted. Seasonal measures do not apply to goods not identified as ‘target high-risk’ and ‘target risk’. Note: Heat treatment may damage product or packaging (typically 55 degrees at the core). Methyl Bromide is a CFC gas which is banned in the US and Europe. Sulfuryl Fluoride is the only real option for pre-shipment fumigation. Due to a number of fraudulent certificates, quarantine banned all Italian fumigators. Only fumigators that apply to the Department of Agriculture to be accredited under the new BMSB treatment provider scheme will be allowed to treat and issue certificates for all countries listed above. The department will require a certificate to be emailed for approval. This certificate will be matched to the Customs Brokers lodged documents for clearance and released. Shipments with lodged certificates that have no pre-approval by the department will be rejected (for further intervention or re-export). Where pre-shipment fumigation is required, it must be completed only by an accredited (published) treatment provider. It is highly important to contact your suppliers now to identify any potential sulfuryl fluoride fumigators (if required) and insist on them being accredited under the BMSB scheme. Once more information is on hand we will post it on our website.